The rideshare economy has introduced a reliable and convenient method of transportation for city-dwellers. From mothers and officer-goers to college students and event attendees, rideshare services have become the transport mode of choice for many. That being said, rideshare services are not perfect, and riders may have to take a few precautions to utilize these effectively. Before getting into the car, make sure that you are getting into the right one. Confirm the identity of the driver and the car license plate to ascertain the car is the one you booked. PinkCab’s OTP feature ensures you have the correct car, because the ride will not start unless you provide a pre assigned code to match the driver. In case of an emergency, or if you feel unsafe while using a rideshare service, inform the police or someone you trust, and share your location with them. When you hit PinkCab’s SOS button, it gives you the option to contact emergency services in the form of a private security company that partners with us and is aware of your location with live 24/7 monitoring, the Police or a pre-determined emergency contact and share your location with them. At PinkCab we make sure all drivers go through a comprehensive vetting and interview process and contacntly monitor rider feedback. Before accepting to ride with a driver, make sure you check their ratings and reviews. Do not ride with a driver with whom other passengers have encountered problems. PinkCab takes the feedback by its riders seriously to ensure a systematic and effective experience for all parties involved, so make certain you inform PinkCab in case you face an issue with your driver. To ensure you reach your destination on time, plan ahead in accordance with your schedule. You can use PinkCab’s Scheduled Rides feature to book a ride in advance and rest assured your driver will reach you in time, so that you avoid last-minute confusion and scramble. You do not have to share your personal information with the driver. Through PinkCabs’s in-app calling and messaging features, you can contact the driver from the app, ensuring your contact information remains anonymous. Never leave your safety to chance. 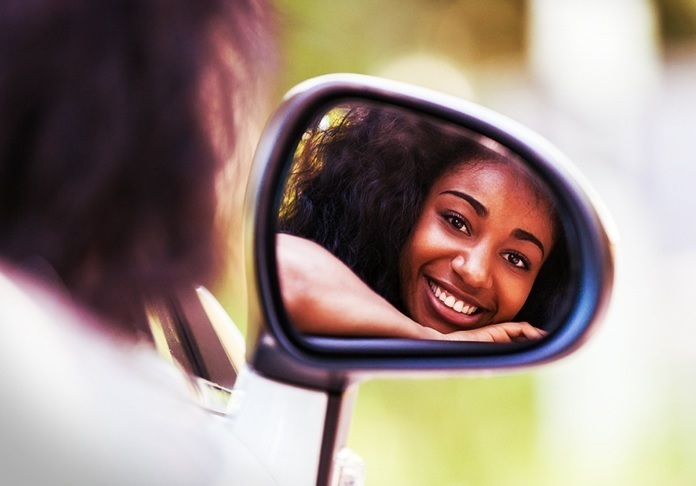 By creating the first ever female only ride sharing service and platform we are commited to providing all women accross Trinidad and Tobago with realible and secure means of transportation. If you need to take a trip alone or want to share it with a female companion – PinkCab will always be there for you.